Cody Canada’s new album recently debuted all over the charts. No 1 Amazon MP# Albums; No. 9 Billboard Country Albums; Top 5 ITunes Country and Top 40 iTunes overall. I know it has been widely promoted and his team did a great job, but I think much of the initial success of the album was due to the influence that he and his music have had on the Red Dirt/Texas music scene. I know that in the 90’s, Robert Earl Keen dominated the scene. There were many others, but no one was as big as he was. He seemed to be the biggest influence on young artists in the genre at that time. He was blazing a trail for many to follow. I believe Cody Canada has that kind of influence on the musicians of today. Twitter usually blows up every release day from musicians that have friends releasing records, but nothing compared to the day HippieLovePunk was released. Artists spanning all genres were promoting the album to their fans. Everyone from Dierks Bentley to Sons of Bill to artists I’ve never heard of. Because of the influence he and his music has had. I really didn’t know what to expect out of the album or from the (new) Departed, but it is solid from start to finish. It’s not a country record, but like most of the Americana now, it is somewhere between rock and country that can go from one to the other depending on the ear of the beholder or the mood of the artist. It is just great music. I don’t know Cody Canada and I am a Ragweed fan, but not as avid as most people I know. Having said that, I was around him earlier this year for about 30 min. and if I had to describe Cody Canada, I would tell them to listen to the song “Easy.” I know it’s a song about him getting robbed, but one line describes the vibe I got from Canada that night. “Take my money and both of my shoes / if it makes this day easy on you.” I really believe he would give you the shirt off his back just because you asked him to and that’s the vibe I get from half of this album. 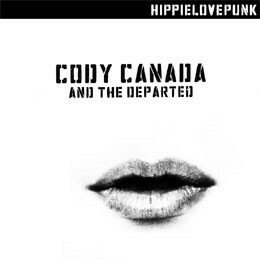 The other half of the album, though, shows the dichotomy of what I imagine Cody to be. Quiet and easy going until he has had enough, and then all hell breaks loose. Back him into a corner, and he is fighting to the death. Songs like “Boss of Me” and “Comin to Me” defiantly show that side of his songwriting. It’s awesome designed for me to have a website, which is useful for my knowledge. that could assist me. Awaiting another superb site. All the best! Our nursing writing services cover the following areas among others: Nursing interventions and rehabilitation, law and ethics in nursing, gerontic nursing care, chronic and complex nursing care, community health, paediatric health, mental health, aged care, palliative care, and oncology. this for outstanding grades at nursing school. get three emails with the same comment. Is there any way you can remove me from that service? posts which consists of tons of useful information, thanks for providing such information. it and in my view recommend to my friends. I am confident they will be benefited from this website. am reading this wonderful educational article here at my residence. go to see this weblog on regular basis to obtain updated from most up-to-date news update. mind before writing. I’ve had a difficult time clearing my thoughts in getting my ideas out there. Hello, just wanted to mention, I loved this blog post. It was funny. I’m really impressed with your writing abilities as well as with the layout for your weblog. I just want to mention I’m beginner to blogging and really loved you’re web blog. Very likely I’m going to bookmark your site . You definitely have good well written articles. Thanks a lot for sharing your web-site. Great goods from you, man. I’ve understand your stuff previous to and you’re just too wonderful. I actually like what you’ve acquired here, really like what you’re stating and the way in which you say it. You make it enjoyable and you still care for to keep it sensible. I can’t wait to read far more from you. This is actually a terrific site. I have been surfing online greater than 3 hours today, yet I by no means discovered any fascinating article like yours. It is pretty price enough for me. In my opinion, if all site owners and bloggers made excellent content as you probably did, the net can be much more helpful than ever before. Wow, superb blog structure! How long have you been blogging for? you made blogging glance easy. The full glance of your website is excellent, let alone the content material! Hello my loved one! I wish to say that this article is awesome, nice written and come with almost all vital infos. I¡¦d like to peer extra posts like this .